When I was wild, you were steady . . . Now you are wild - what am I? Eden McKinley knows she can't count on much in this world, but she can depend on Bonnie, her solid, steady, straight-A best friend. So it's a bit of a surprise when Bonnie runs away with the boyfriend Eden knows... read full description below. When I was wild, you were steady . . . Now you are wild - what am I? Eden McKinley knows she can't count on much in this world, but she can depend on Bonnie, her solid, steady, straight-A best friend. So it's a bit of a surprise when Bonnie runs away with the boyfriend Eden knows nothing about five days before the start of their GCSEs. Especially when the police arrive on her doorstep and Eden finds out that the boyfriend is actually their music teacher, Mr Cohn.Sworn to secrecy and bound by loyalty, only Eden knows Bonnie's location, and that's the way it has to stay. There's no way she's betraying her best friend. 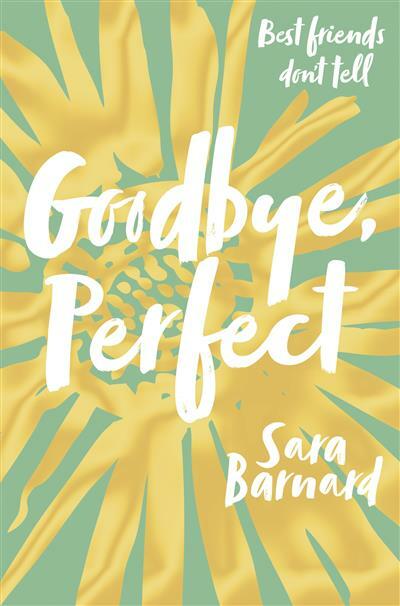 Not even when she's faced with police questioning, suspicious parents and her own growing doubts.As the days pass and things begin to unravel, Eden is forced to question everything she thought she knew about the world, her best friend and herself. Sara Barnard lives in Brighton and does all her best writing on trains. She loves books, book people and book things. She has been writing ever since she was too small to reach the 'on' switch on the family's Amstrad computer. She gets her love of words from her dad, who made sure she always had books to read and introduced her to the wonders of second-hand bookshops at a young age. Sara is trying to visit every country in Europe, and has managed to reach thirteen with her best friend. She has also lived in Canada and worked in India.